Did Chelsea Clinton Just Say That Weed Kills People? Chelsea Clinton may have implied that cannabis has caused deaths in Colorado. Watch the video and see for yourself. Chelsea Clinton spoke on behalf of her mother in Ohio on the weekend of September 24-25. About 21 minutes into the Q&A, Clinton was asked about where her mother stands on cannabis reform. If Chelsea Clinton’s response is a true indication of her mother’s viewpoint, cannabis-lovers have reason to be concerned. The unnamed questioner wasn’t talking about full-on legalization. He specifically asked about rescheduling cannabis so that there could be more research on the herb. 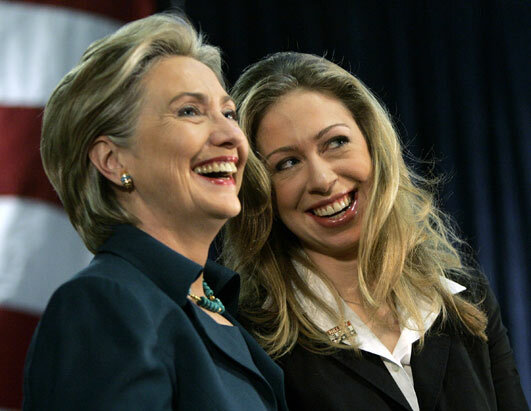 Chelsea Clinton kindly explains that her mother supports State’s rights and is interested in more research. We have no real way to study them. So, anecdotally, we have lots of evidence in […] epilepsy, but also in autism, in stimulating appetite for people who are on intensive chemotherapy regimines, for people who have non-epilepsy seizure, disorders and challenges. It’s nice to hear that the Clintons are familiar with some of the benefits of medical cannabis. However, the reason why “we have no real way to study them” is because of a government ban. Did Clinton address the government ban at all? Nope. Though her mother has mentioned that she would reschedule cannabis, Chelsea Clinton didn’t go into detail about any of these plans. But we also have evidence from Colorado where some of the people who were taking marijuana for those purposes, the coroner believes that after they died, there was drug interactions with other things they were taking. It’s true, drug interactions are important to learn about. However, alcohol interacts with 950 different drugs and is still legal. 87 drugs are known to interact with caffeine, and no one is out there trying to ban coffee or tea. Possible drug interaction is one of the many, many reasons why cannabis should be at least rescheduled. But, that isn’t a reason to discount the herb altogether. Nor is it a reason to suggest that cannabis alone is responsible for anyone’s death. Thanks to prohibition, we have not had the ability to test for possible drug interactions. Clinton ends her question with ambiguity. She mentions the need for more research but still says nothing about rescheduling. Further, she hints that cannabis should be under the control of the FDA. Absolutely, my mom strongly supports the need for more rigorous study and subjecting it as we do everything else that might have a medicinal purpose to FDA approval, scruitinty, and ultimately regulation. So, what does the future of cannabis in the US look like? Unfortunately, our politicians still seem misinformed. Luckily, the public majority still favors legalization. Let’s hope that the Feds listen. What do you think of Chelsea Clinton’s remarks? Share with us on Facebook, Twitter, or in the comments below. We’d love to hear from you!